Georgina is an Environmental Social Science Research Fellow at the Australian Research Council’s Centre of Excellence for Coral Reef Studies in Townsville, Australia. Her research interests lie broadly in understanding the factors that influence opportunities for collaborative management of common-pool natural resources, and the multiple socioeconomic and environmental outcomes of such initiatives. 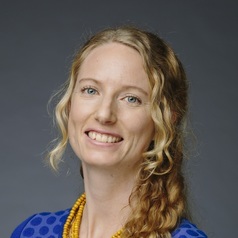 She takes an interdisciplinary approach to her research, and draws on theories and methods from a range of disciplines, including social psychology, behavioural economics, human geography, and political science.Georgina also collaborates widely with a range of natural and social scientists, policymakers, and natural resource managers. To date, she has undertaken much of her research in the context of coral reef management in the Asia-Pacific region, including in Indonesia, the Philippines, Australia and Fiji.